Hospital in Birmingham in 2014. (CNN) An accomplished British surgeon has admitted branding two of his patients' livers with his initials. Yes, you read that right. 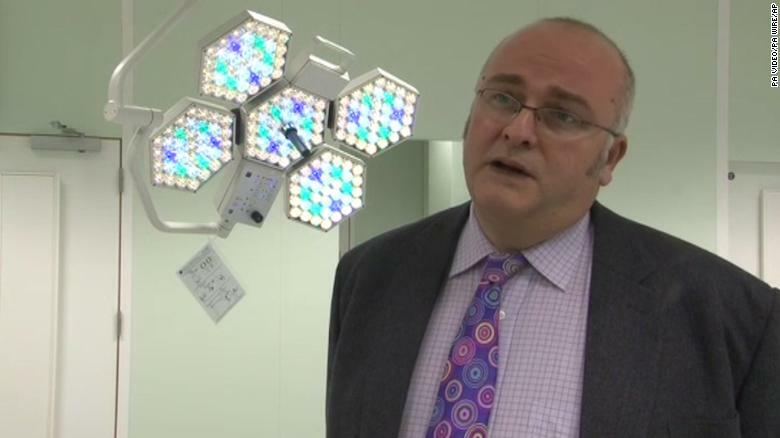 Dr. Simon Bramhall, 53, admitted to Birmingham Crown Court that he etched "SB" onto the livers of two transplant patients in 2013 using an argon beam. Argon beam coagulators are commonly used during such operations to stop blood flow and resection organs. ramhall's actions were "deliberate and conscious. ""Those assaults were wrong not just ethically, but also criminally," she said in a statement. "It was an abuse of the trust placed in him by the patients." After he resigned in 2014, Bramhall told the BBC that he'd made a "mistake," in reference to the incidents. Efforts to contact the law firm RadcliffesLeBrasseur for comment from Bramhall's lawyer were not successful.